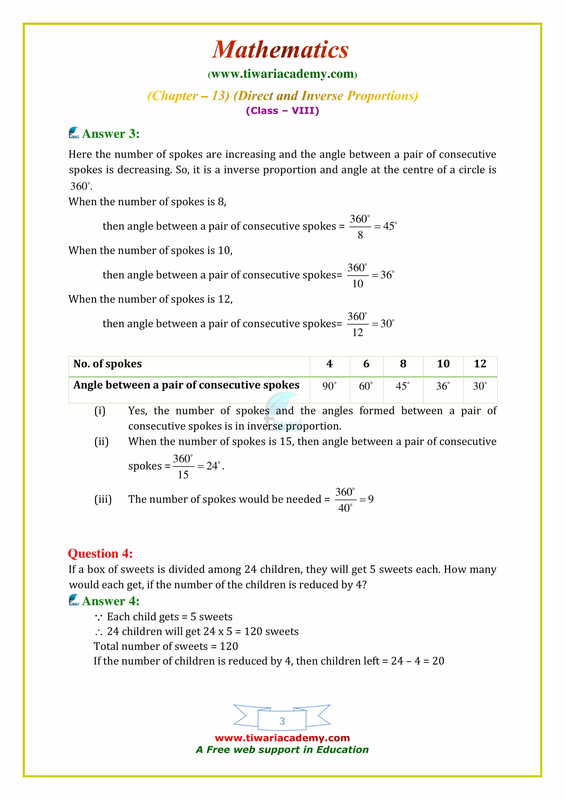 NCERT Solutions for Class 8 Maths Chapter 13 Exercise 13.2 Direct and Inverse Proportions in English Medium and Hindi Medium free to use it online. 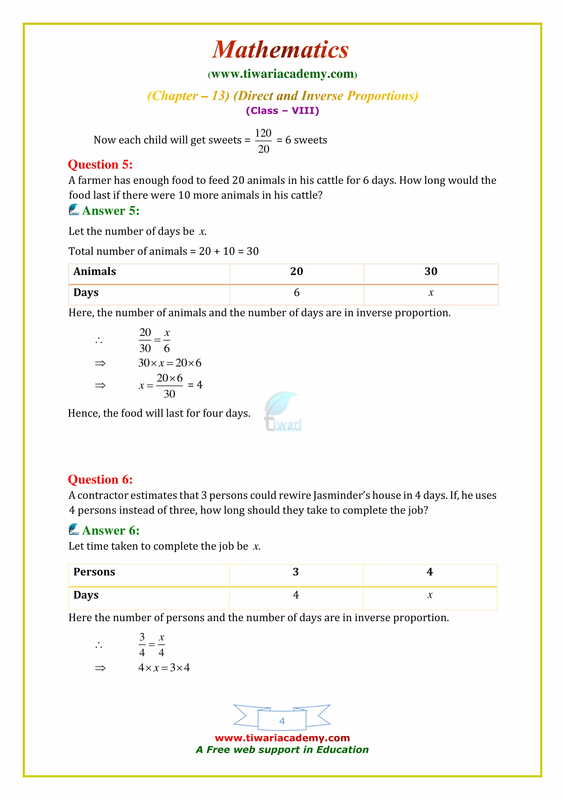 Solutions are in most simplified way to help the students. 1. A contractor undertook a contract to complete a part of a stadium in 9 months with a team of 560 persons. Later on, it was required to complete the job in 5 months. 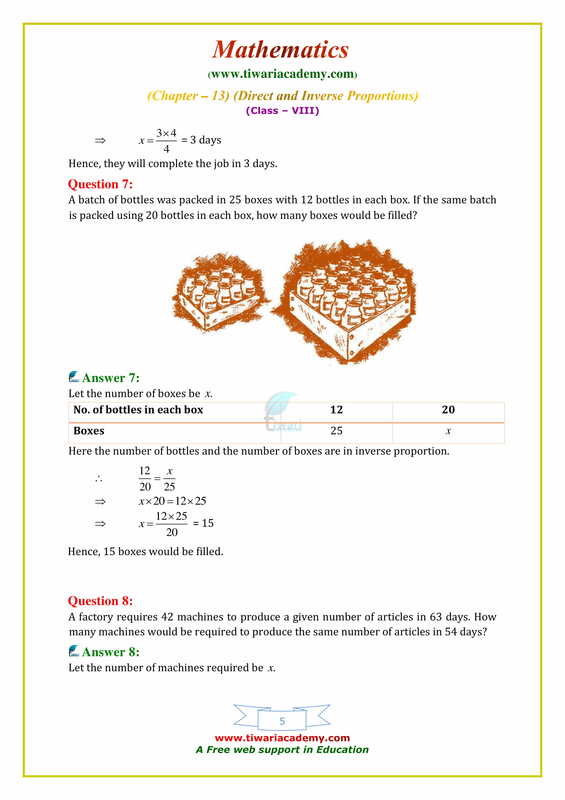 How many extra persons should he employ to complete the work? 2. The mass of an aluminium rod varies directly with its length. If a 16 cm long rod has a mass of 192 g, find the length of the rod whose mass is 105 g.
3. The cost of 27 kg of iron is ₹1,080, what will be the cost of 120 kg of iron of the same quality? 4. 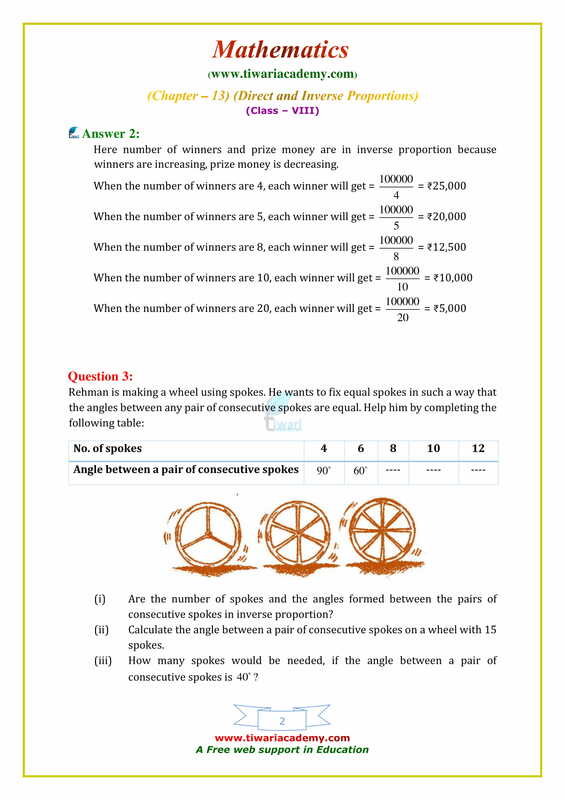 At a particular time, the length of the shadow of Qutub Minar whose height is 72 m is 80 m. What will be the height of an electric pole, the length of whose shadow at the same time is 1000 cm? 5. 44 cows can graze a field in 9 days. How many less/more cows will graze the same field in 12 days? 1. Ravi starts for his school at 8:20 a.m. on his bicycle. 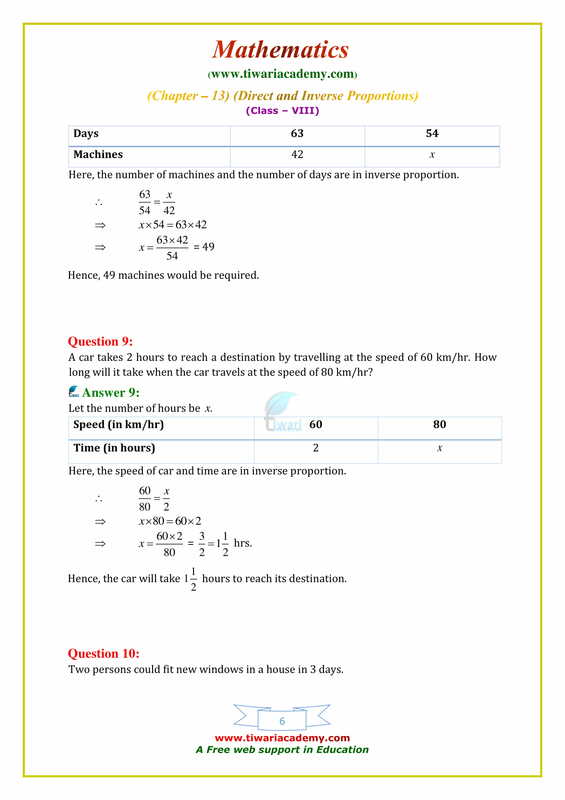 If he travels at a speed of 10km/h, then he reaches his school late by 8 minutes but on travelling at 16 km/h he reaches the school 10 minutes early. At what time does the school start? 2. Ms. Anita has to drive from Modi Nagar to Modi Puram. She measures a distance of 3.5 cm between these villages on the map. What is the actual distance between the villages if the map scale is 1 cm = 10 km? 3. 30 persons can reap a field in 17 days. How many more persons should be engaged to reap the same field in 10 days? 4. In a hostel of 50 girls, there are food provisions for 40 days. If 30 more girls join the hostel, how long will these provisions last? 5. If a deposit of ₹ 2,000 earns an interest of ₹ 500 in 3 years, how much interest would a deposit of ₹ 36,000 earn in 3 years with the same rate of simple interest?